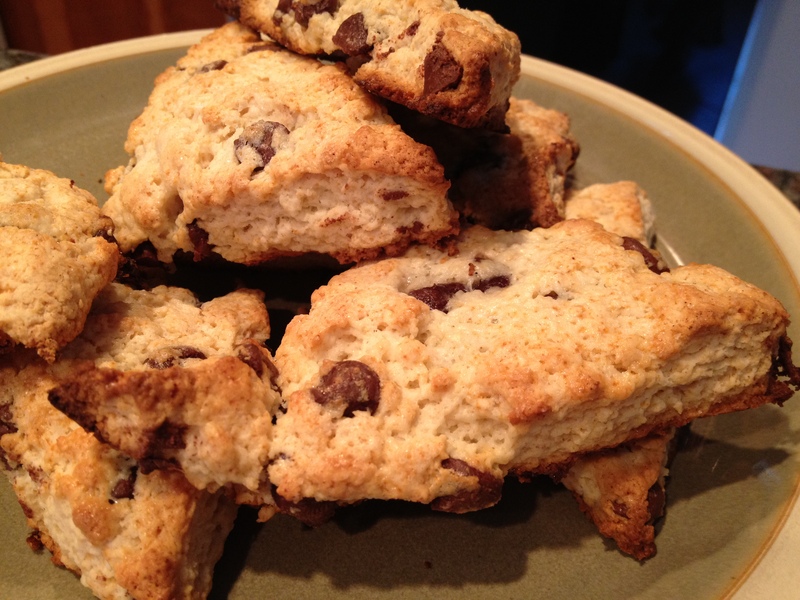 Continuing on with my weekend festivities….On Saturday, B made us homemade chocolate chip scones. The recipe comes from Kate, who is living in England now and was also one of B’s bridesmaids. She has her own blog, Across the Pond with the Loeckens, and I’m insanely jealous when I read about their travels! I watched very carefully and it really did look easy. I was impressed it wasn’t even coming out of a mix. 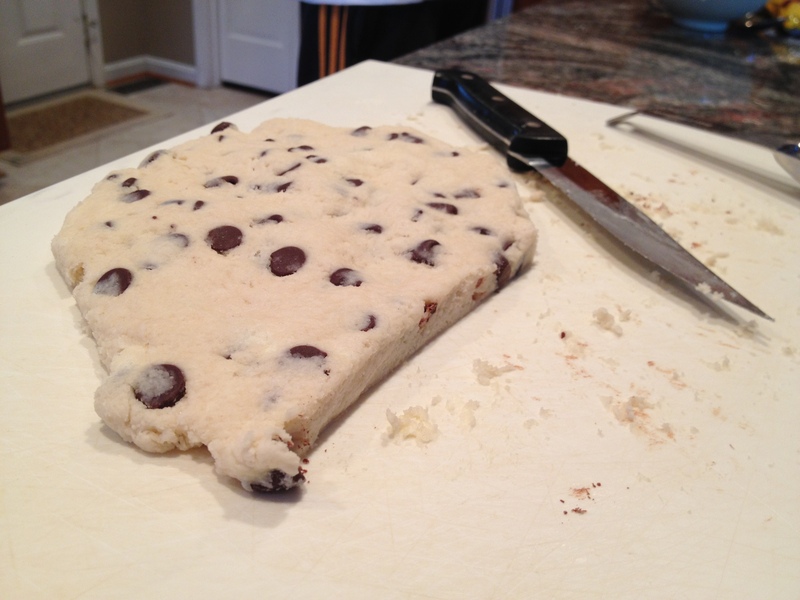 B just cut off little triangles until all the dough was gone! Right out of the oven and warm. With coffee and friends at the kitchen table. Great start to the day! < Previous Pink. Pink. Pink.